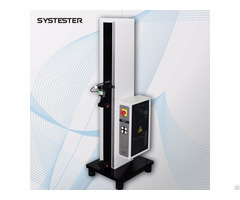 This kind of machine is mainly used for the rust removing or surface cleaning and intensifying of various diameters steel pipe, round steel, wind turbine tower, tank, rod steel and wires. It’s a new special shot blasting equipment specific designed and manufactured by user requirements. 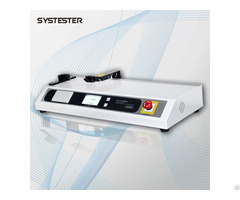 This series of equipment has a variety of body structure, and has been characterized by high cleaning efficiency and low energy consumption. By shot blasting process, not only can remove rust, oxide skin, and various residue on workpiece surface, beauty surface and increase the surface friction and grip force, make preparation for surface non-destructive testing and anti-corrosion coating paint, but also the tensile and compressive strength of the workpiece can be enhanced, achieving the goal of workpiece protection, corrosion prevention and life increase of the workpiece.Its superior cleaning performance has made past labor-intensive methods of blasting and wire brush become obsolete.Compared to other surface treatment technology, it does not includes chemical reaction process and will not pollute the environment. 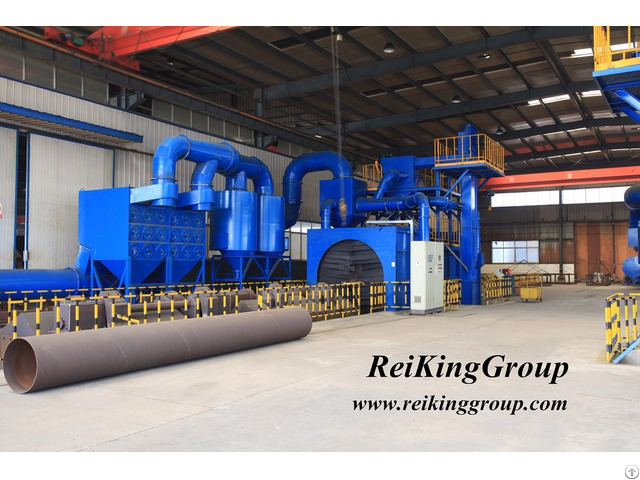 The dust removing system adopts the internationally advanced pulse type device, characterized by high efficient, and after cleaning the dust emission meets the relevant requirement of the world regarding environmental protection. Posted By: QingDao reikinggroup environmental protection technology Co., Ltd.
Business Description: ReiKing is a professional and industry-leading manufacturer of shot/sand blasting machine, rust removal machine, dust removal equipment, smell removal equipment and various surface treatment equipment.With experienced design and produce teams, our company has passed a number of world-renowned certifications and won a number of utility model patents.Also, we are the CNPC, Sinopec designated Internet product suppliers. Each piece of our equipment have been strictly CAD designed and accurately three-dimensional presented of 3D model.We dedicated to provide equipment with high quality and competitive price for the global foundry, metallurgy, automobile, shipbuilding, construction, mining machinery and construction machinery.In addition, with advanced and experienced production technology,we are able to design and manufacture various non-standard casting machinery according to user specific needs. As a enterprise with long history, advanced technology and strong design strength, we are a National Foundry Machinery Standardization Technical Committee member. and we win at these aspects: strong technical strength, competitive equipment price, punctual shipping date, excellent after-sale service, a good reputation in the industry. Sincerely hope we can achieve a win-win cooperation with you.